A graduate of England’s Webber-Douglas Academy, Maria has played everything from Shakespeare to Pantomime. Favourites include: U.K. – Gertrude (Hamlet), Charlotte (The Real Thing), Eleanor (Passion Play), Dorothy (Jumpers), Doris (Same Time Next Year), Anne (All My Sons), Lucy (You’re a Good Man, Charlie Brown). Canada – Lady Bracknell (Importance of Being Earnest), Madame Arcati (Blithe Spirit), Shirley Valentine, Lettice (Lettice and Lovage), Mother Superior (Nunsense), Peggy (Weekend Comedy), Aida (Over the River and Through the Woods). T.V. & Film include: Dieppe (CBC), Are You Afraid of the Dark? (Cinar). 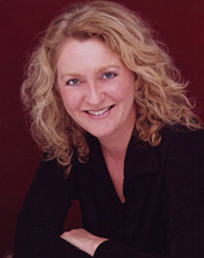 Maria is also a director, writer and dramaturge, with a degree in Theatre Studies from York University. She is Artistic Associate for the staged play-reading company, First Stages Theatre, Toronto, where she has played Helen Martins in The Road to Mecca (Fugard), Miss Fozzard – Talking Heads (Bennett) and directed Three Tall Women (Albee). She has compiled and directed her own musical revues – Kernels (Kern) and Strictly For Grown Ups (Roberts). Recently, Maria played Gracie Fields and Beatrice Lillie in a 1940’s Tribute Radio Show – “We’ll Meet Again” – at the Warplane Heritage Museum, Hamilton, Ontario with The National Academy Orchestra of Canada, conducted by Boris Brott. Maria is thrilled to be back for Season 3. Debbie is an in-house proofreader, writer and editor by day and a dance, opera and musical theatre lover on nights and weekends. She does other things too, like eat, sleep, knit and write in third person. She puts the “fan” in fanatic for all things B.J. Fletcher: Private Eye, and is thrilled to be a part of its exciting third season. Robert has performed in theatre, concert, opera, film, TV and radio in Canada, England, Italy, the United States and India. Film and TV appearances include Doc, Street Legal, Due South, Traders, Top Cops, Forever Knight, E.N.G., Goosebumps, Fraggle Rock, The Campbells and Marvel Comics: The Avengers. Robert appeared with Faye Dunaway and Maureen Stapleton on Road to Avonlea and played opposite Jon Favreau in Rocky Marciano for MGM. He was Harper in the CBS mini-series I’ll Take Manhattan with Julianne Moore, Jane Kaczmarek, Barry Bostwick and Valerie Bertinelli. In the CBC docu-drama Above And Beyond he portrayed Robert Crowley opposite Kenneth Welsh, Joss Ackland and Richard E. Grant. He was nominated for an ACTRA Award for his narration of the British/Canadian documentary-drama The Real Jack The Ripper for History Television. 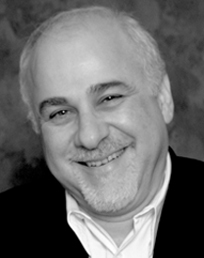 Currently he is Artistic Director-Producer of First Stages Theatre Company and Executive Producer of Scarab Productions in Toronto. 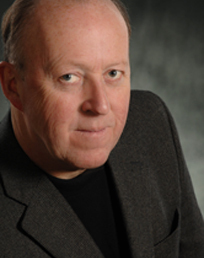 Robert was a founding Board Member of The Performing Arts Lodges of Canada, an original member of Supporting Cast and a member of Performers For Literacy. Adam Lazarus is a performer, director and instructor whose work in physical theatre has taken him to France, England and across Canada. He is a graduate of McMaster University’s Theatre Program, Leeds University’s Theatre Program in England and L’Ecole Philippe Gaulier in Paris, France where he has also served as Gaulier’s apprentice. As an actor, Adam performs in numerous cabarets around Toronto, and has appeared in The Gina Project’s silent circus Big Show, Tapestry New Opera Works’ clown/opera workshop for Shelter, and his one-man bouffon show, Fable. Most recently he appeared in the Crow’s Theatre production of Darren O’Donnell’s [boxhead] at Buddies in Bad Times Theatre and coming up, he will perform in a remount the award-winning SummerWorks’ production of Appetite (Volcano/Theatre Passe Muraille). Stavroula Logothettis is an actor, producer, writer who’s career spans over two decades. Wow that’s a lot when I see it in print. Ouch! Among her various roles on stage, in film and television she has had the pleasure of playing Maria Callas at the National Theatre of Canada, was a biker chick named Lula in Kung Fu the Legend Continues for 5 seasons, did the voice for Scarlet Witch in The Avengers, and played the role of Athena, sister to Nia Vardalos in My Big Fat Greek Wedding. At present she lives and works in Doha Qatar producing documentaries with a social message befitting the times we live in. 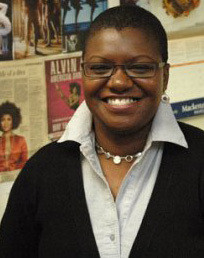 Formerly Executive Director of the Sandusky State Theatre in Ohio, Costin is now Manager of Programming, Marketing and Audience Development at The Rose Theatre in Brampton, Ontario. In a long career, Costin has produced over fifty plays, directed almost twice as many, from classics and contemporary dramas, to comedies and farces, and acted in over seventy productions. His favourite stage roles include Paravicini in The Mousetrap, Mike in American Modern and Hucklebee in The Fantastics. On screen, amongst others, Costin has appeared in The Knights of South Bronx opposite Ted Danson, Wild Iris with Gena Rowlands and Laura Linney, The Relic Hunter and Street Legal. Costin has worked extensively in the theatre in Europe and the United States and has also appeared in many TV commercials. 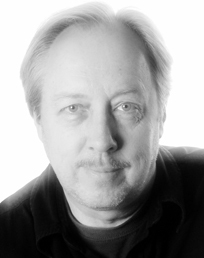 Julian Mulock has worked in many aspects of theatre on both sides of the footlights. Among his favorite onstage roles (apart from an excess of British farces) are as Oscar Wilde in the North American premiere of Tom Stoppard’s The Invention of Love with John Neville, directed by Herbert Whittaker; Dr Treves in The Elephant Man, Charles Condomine in Blithe Spirit and Bertram in the Canadian premiere of Vaclav Havel’s Largo Desolato. Among his credits as a director are The Browning Version (Rattigan), Time of My Life (Ayckbourn), An Inspector Calls (Priestley) and Who’s Afraid of Virginia Woolfe (Albee). He devised and directed the Noel Coward review An Evening to Amuse and wrote the script for the Cole Porter review Cole Porter Tonight both for the Arts and Letters Club of Toronto. 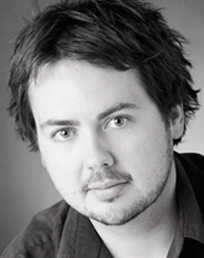 Ben is a actor, playwright and the Creative Producer of Fairly Lucid Productions. A graduate of the 2002 St Martin’s Performance Ensemble in Melbourne Australia, Ben trained with the Atlantic Theater Company in New York. 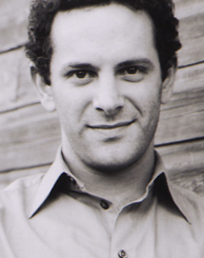 As an actor, he took out the Peer and Audience awards in St Martin’s 2002 Season of New International Work and received an ‘Honourable Mention’ for his performance in the 2004 Melbourne International Fringe Festival. Recent credits: Scrooge (Stage West) Binary (White Raven Productions – Toronto Fringe Festival), Something from Nothing (Cascade Theatre), Tessa King’s One Last (Summerworks) Romeo & Juliet (Company X), The Scattergun Project (St Martin’s), Phaedra’s Love (Organised Chaos), interrogation (Fairly Lucid). Ben has appeared in numerous short films both in Canada and Australia and will be seen next in the feature film, Buck Wild. Kimwun is a Toronto-based actor, independent theatre producer and artist educator. She is a co-founder of and member of the Core Artistic Team for Studio 180 Theatre, where she has appeared in productions of Clybourne Park (upcoming, in association with Canadian Stage), Our Class (in association with Canadian Stage), Offensive Shadows, The Arab-Israeli Cookbook, The Passion of the Chris and The Laramie Project (in association with Buddies in Bad Times). Other recent credits include Eldritch Theatre’s Madhouse Variations and Seventh Stage Theatre Productions’ This Is About the Push. She has performed with such companies as Roseneath Theatre, the Stratford Festival, Theatre Direct Canada and Absit Omen. She has also been an associate artist of the SummerWorks Festival, and co-editor of WORKS. (the SummerWorks bi-annual theatre journal) and has twice produced/curated SummerWalks, a series of walking tours that she co-created in 2009. Film and TV credits include a recurring role on the TMN series The Line, Escape, The Transit Lounge, Max and Zoe, Puppets Who Kill, Nikita and Thieves. Kimwun is a graduate of the actor training program at George Brown College. 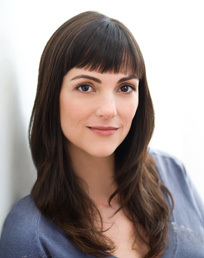 Andrea Risk is a Toronto actress who has spent more time onstage than in front of the camera for the past few years. 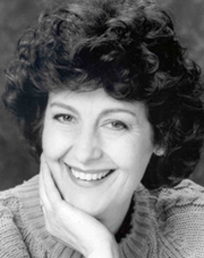 Some favourite roles include Judith in Boeing Boeing (St. Jacob’s Schoolhouse Theatre); Maria in Lend Me A Tenor (Victoria Playhouse Petrola and King’s Wharf Theatre); Lucienne in Flea In Her Ear (Drayton Festival Theatre); Theda Blau in It Had To Be You (Champagne Dinner Theatre), and over 500 performances in seven different productions of Shear Madness. Andrea will be performing multiple characters in Freedom 85 at this year’s Toronto Fringe Festival.